Why doesn’t anyone work in the seventies? Because of all of the Strike Witches there... I’m trying to decide whether that’s funny, contrived, or just plain stupid, and I’m leaning towards the stupid. But as a way of kicking off this week’s Anime Review Roundup it works, not least because my first review is of Strike Witches Season 1, which I’ve double dipped to Blu-ray. It’s still the same fan service frenzy about girls in their underwear donning cybernetic ‘brooms’ to launch into the air to battle the nefarious Neuroi, in a World War II style. Fun it most definitely is, but is the HD upgrade any more than just lip service? Click on the review to see. I’m late to this particular party. We’ve finally got past the Golden Age, and the newest anime series is finally adapting new story. But I still hadn’t seen the final film of the trilogy, Berserk The Golden Age Arc III: The Advent. It was a case of waiting till it cost me what I thought it was worth, rather than what the retailers and distributors had priced it at. Given what I thought of the first two films, it was a long wait. Still, trilogies have been known to improve over time, or deliver one transcendental instalment out of a sea of mediocrity. The Advent is that bit of the Golden Age, where Guts rejoins the Band of the Hawk, and they rescue Griffith from the King of Chuder’s dungeon, only for all hell to break loose. Long story short, stick to the 1997 TV series. I like the slice of life genre, which usually entails cute girls doing inconsequential things and basking in the warm glow of friendship. However, it’s usually a short lived affair, a single series here, maybe two if you’re lucky. But Hidamari Sketch has managed to eke out four seasons of material, almost five if you count all of the OVA episodes. The surprising thing is that it just got better and better as it went on, and the last series to date, Hidamari Sketch x Honeycomb is the best of the lot, making the most of the characters, and indulging in all of the running gags the series has, as well as adding a note of heartfelt nostalgia, as the passage of time has the inevitable toll on high school friendships, that of graduation. The Mysterious Cities of Gold. Now this was the series that primed me for a lifetime obsession with anime, although of course I had no idea at the time. For me it was just another cartoon to enjoy after I had come home from school, tuning in weekly for another exciting adventure in 16th Century South America, as three intrepid children searched for the eponymous golden cities. It was a glorious mish-mash of history, mythology, and science fiction, just the sort of adventure that would appeal to a boy of my tender years. What I didn’t know was that it was a Franco-Japanese co-production, or that the animation style, the character designs were typical of anime. And at that age, I didn’t take the time to appreciate the atypical serialised storytelling, in a medium which aback then was predominantly episodic. 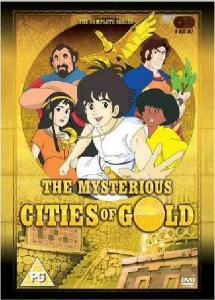 All I knew was that I couldn’t miss a single episode of The Mysterious Cities of Gold, where missing an episode of Thundercats didn’t leave me at a loss. This is one instance where TV from my childhood still entertains me as an adult, and that’s not just for the OFCOM unfriendly documentary epilogues that have been restored for the DVD release. Here’s my review. Fabulous Films brought back this classic series on a feature packed complete series collection back in 2008. Has it been ten years already? Anyway, you can still get that boxset, and there is also a slimline budget version if you don’t want the physical extras (most were exclusive to HMV). 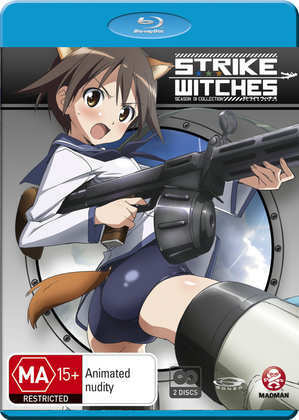 Madman Entertainment released Strike Witches on Blu-ray in Australia back in 2012. The show had a DVD only release in the UK. 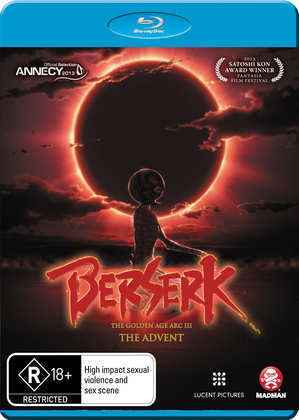 In 2014 they also released the version of Berserk The Golden Age Arc III: The Advent that I reviewed, although that is a direct clone of the Kazé disc that was released in the UK. 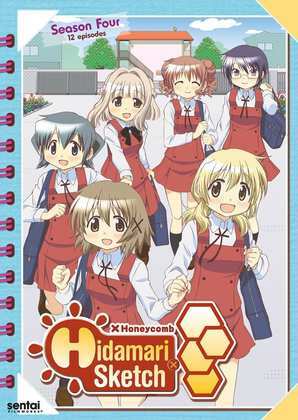 Hidamari Sketch x Honeycomb was released on Blu-ray and DVD by Sentai Filmworks in the US back in 2015.